Drive thousands of targeted visitors to your site (the kind that convert)? Capture those visitors’ emails, so the traffic isn’t wasted? Secure valuable backlinks to help you rank higher in search results (like Google)? Gain your visitor’s trust and be seen as an authority in your industry? It’s not a pipe dream. With some planning, a little elbow grease, and some solid execution, you can have it all. 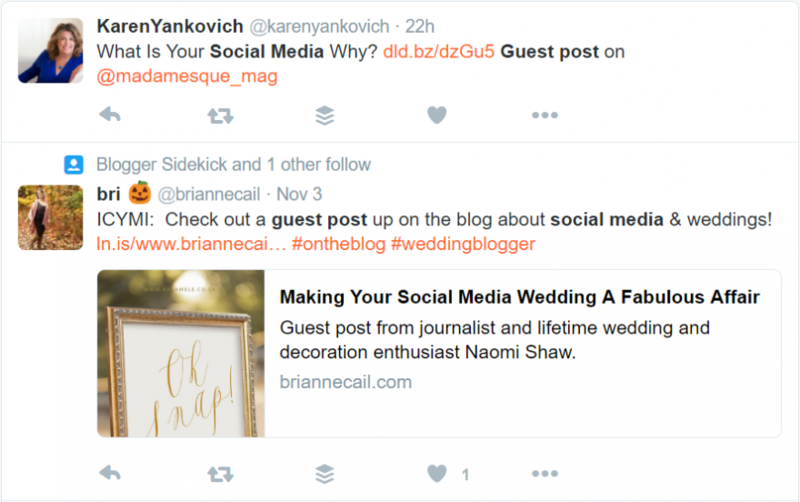 What is guest posting? In case you didn’t know, a guest post is a blog post you write and publish on someone else’s blog under your name (or your brand’s name). Note: Guest posting will work for you no matter what industry you’re in. Lawyers, eCommerce stores, SaaS companies, and nearly every other kind of business can benefit from what I’m about to teach you. I’d also like to say that you don’t need a blog to do this. In this guide, I’m going to walk you through the exact steps I used to get guest posts published on sites like Social Media Examiner, Content Marketing Institute, Search Engine Journal, and more. Bonus: Get access to a list of 30+ blogs that accept guest posts, along with a spreadsheet to track who you’re reaching out to and the progress you’ve made. Ready to learn how to write a guest post? Let’s do this. Step 1: Find the right guest blogging sites. Is traffic good? Yes or no? That’s a trick question. You can’t answer it without knowing what kind of traffic I’m talking about. The typical mindset is “more traffic means more sales”. That’s true… as long as it’s targeted traffic. You don’t want just anyone! Many people make the mistake of going through so much work to land a guest post on a major site, get loads of traffic, and nothing happens. What went wrong? I’ll tell you what – they got the wrong readers. They may have written a post that relates to their product or software, but they are putting it in front of people who don’t need it. That’s why it’s important to target the right blogs and give the right offer. Your products or services need to be useful to the readers of the blogs you target. In other words, where does your target audience hang out? What blogs do they read? Once you answer that question, you’ll have begun your list of sites to target. So, how do you find relevant blogs? Look at the blogs you read. Would they make a good target? Head to Google and start searching around your target audience’s pain points. For example, if I was selling marketing consulting services, I would search for “Marketing Blogs”. Search on Twitter for “your keyword” + guest post. The results will show relevant sites that have accepted guest posts. A high DA means they are a high-quality site and can provide a big boost to your search engine rankings if they link to your site (focusing on search rankings is called “search engine optimization” or “SEO”). Guest post SEO is a magical thing – it’s a great way to build backlinks to your site, as I mentioned in the intro. High DA sites provide a better boost to your site. You can easily check a site’s DA for free with Moz’s Open Site Explorer. The higher the better, but typically anything under 40 isn’t worth pursuing too hard. Pro tip: You can also download the SEOMoz browser plugin for Chrome or Firefox to make checking DA as simple as visiting the site. It’s possible to buy followers and it’s possible to amass a huge following that’s not really interested in a site’s content or products. The reason we want engagement? Clicks and shares matter more than reach. It doesn’t matter if a million people see a social media update if no one clicks on it! Go to their social pages and just take a look at how many followers they have compared to how many likes, shares, retweets, etc. they get. Check out their profile on Klout. This will show you a score based on their social engagement. Anything over 50 is typically pretty good, but the higher the better. 4. A high email subscriber list. This is arguably more important than a blog’s social media following, but it can also be harder to determine and see the results of. You can see shares, but tracking traffic from a newsletter can be difficult if you don’t give them a tracking URL to use. The only way (that I’m aware of) to see a company’s email list size is if they display it or by asking them. You’ll see that we (proudly) display our email list of over 35,000 people. Otherwise, you’d have to message the founder to ask. And that gets a bit awkward. But, it’s still a factor to consider! Now that you have your list of blogs to target, on to step 2. Step 2: Connect with their writers/editors/owners. How do you ever expect to get a guest post on a blog without talking to the people in charge of that blog? Here’s the thing with guest blogging: Just as most things in life, it’s not about what you know, but who you know. Having an “in” to a blog will make this process 4,674% easier (I ran the study myself). It’s not very difficult to do, either. It just takes a little time and some genuine human kindness. Look at their About Us page. Most of the time this page will tell you who the owners and team members are. They might have a dedicated “Meet the Team” page as well. Search “their company name + founder” in Google. You can also try “owner”, “CEO”, “editor”, “content marketer”, “blog manager”, etc. Once you’ve found the person’s name, find them on social media. Twitter is the easiest option because you can follow anyone. LinkedIn is better if you can connect with them because you can message them. Pro tip: When connecting with someone on LinkedIn, it’s best to personalize the message over using the generic message from LinkedIn. Common-sense advice, but it’s pretty common to see people forgetting this, so I mentioned it. If you can connect with them on multiple networks, do it. The more they see your name and face, the more they’ll recognize you (and like you, according to the mere-exposure effect). Now it’s time to schmooze. Share their blog posts on social media (being sure to tag them) and comment on their blog posts frequently. When you comment, be as insightful as possible. Talk about a main takeaway and expand upon a point. Show that you truly read and appreciated their work. Ask questions, start a discussion. Beyond that, you can also do small things like share their social media posts and reply to them with interesting comments or funny gifs (everyone loves a funny gif). What happens if you can’t find their email to reach out to them? Ahh, great question, grasshopper! People who run blogs are busy. They might not respond to a message on LinkedIn or Twitter. Don’t fret – we can still get their email! Just pay $0.10 per email to Voila Norbert. He can get any email for you in mere seconds. Pro Tip: The more you get in front of them with positive experiences (shares, comments, etc. ), the higher the chance you’ll be accepted by the person as a writer. You’re building a relationship. This step could take days, weeks, or even months before you’re ready for step three. As a rule of thumb, I like to wait at least a week or two before pitching topics – that’s usually enough time to become recognizable by the blog owner. That said, just be human. Don’t have a rigid “tweet two things and comment on one thing for XYZ blogger every day”. Just go, look at their accounts, comment on and share what’s interesting, and come back once in awhile to check in. Step 3: Pitch them some guest blog topics. This step will actually vary depending on who you’re going after. For example, the big boys like Entrepreneur, Forbes, Inc., Huffington Post, etc. all want fully written articles, already edited and ready for publishing. Smaller sites, however, are more lenient. Everyone has their own process. 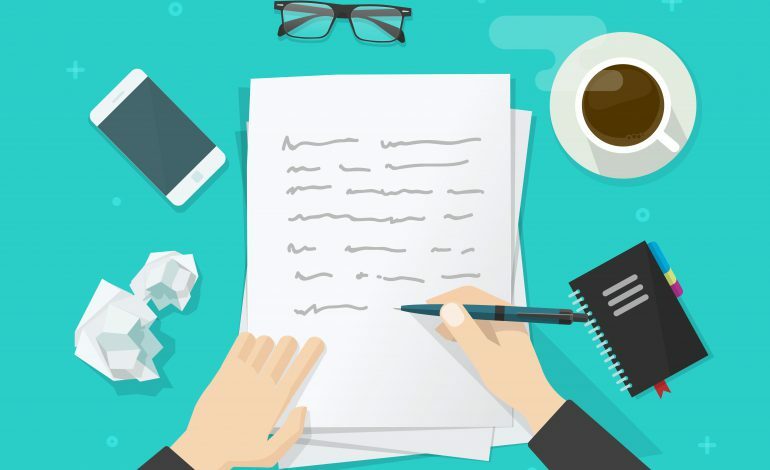 HootSuite wants a detailed outline pitching a topic, while Content Marketing Institute prefers to be pitched a few titles before you start outlining. Read their guest post guidelines, if they have them. Read their blog to get a feel for what they like to write about (and their writing style). See rule 1. Seriously, they have guidelines for a reason. Follow them. Once you have a feel for what they want, it’s time to dig a little deeper to see what kind of posts naturally perform well on their blog. That’s where BuzzSumo comes back in, as I mentioned in the last step. Search for their blog on BuzzSumo, just as we did previously. As you can see, CoSchedule’s top posts are all about marketing and building traffic. So, you know what I can assume based on these findings? They’ll probably accept strong posts on marketing and driving traffic (as long as they haven’t previously covered it). Warning: This is only a template! Don’t copy it word for word. Put some effort into the email and don’t send the same one to everyone on your list. Customize it for them! I’m a huge fan of [their blog]. I just wanted to reach out because I’ve really been enjoying your writing. In fact, I accomplished [something cool] from reading your blog post: [link to their blog post]. I know you’re busy, so I won’t waste your time. I’m reaching out because I had some awesome ideas I think the [their blog name] audience would love, and I was wondering if you’d be open to a guest blog post. I absolutely love your blog. I’ve watched almost every episode of Tiny Homes on Netflix haha, I think they’re so cool! My girlfriend and I don’t have a tiny home, but we live in an RV and we’re traveling the country together! I was wondering if you might be interested in a guest blog post? We just started a blog about our experiences, and we’re trying to get it out there. I know you already have some similar/related posts, but I think I have some unique ideas/spin I can put on them to make them different and useful to your readers. Also, our blog is http://www.thewanderingrv.com, if you’re interested in taking a look! Let me know what you think! I’m welcome to writing different topics as well if there’s something you’ve been meaning to write about but haven’t had the time yet. Remember: If you have any questions about how to submit a guest post, drop us a comment at the end and I’ll be happy to answer them! Step 4: Write a damn good piece of content. I’ll be straight up with you – this post is probably going to take you anywhere from five to ten hours to create, if you’re doing it right. I say “create” instead of write because there’s so much more that goes into a great blog post. You can find great free images from sites like UnSplash, Pixabay, or MakerStock. You can also create your own images for free with Adobe Spark, Canva, Venngage Infographic Maker, or Visme. Another nifty way to find images is through Google. However, you can’t just pull stuff off Google because of copyright issues. Instead, use Google’s “Labeled for Reuse” tool. If you’re having trouble finding good free images, you can also subscribe to a site like ShutterStock to find paid photos. Or, you can go to graphic design websites to have stuff professionally made. For example, you can use Fiverr to have a design made up for just a few bucks! Pro Tip: This is a no-brainer, but I’ll say it anyway because the excitement might make you forget – include links back to your own site from your guest post! Step 5: (Optional) Create a content upgrade for that content. A content upgrade is a piece of content, such as a checklist, cheat sheet, or downloadable PDF, you give away to your blog readers in exchange for their email. It’s also highly related to the blog post you’re writing. A content upgrade is a way of turning traffic into leads (which you can then nurture into sales). In snazzy business talk, it’s a way of acquiring marketing-qualified leads (MQLs, or leads acquired through marketing efforts). Creating a content upgrade is fairly straightforward, but it does take some extra effort – especially to get one into your guest posts. Every blog you submit a guest post to will be different. Some will allow you to link to whatever you want, others will be quite stingy. It’s a damn good content upgrade. It’s highly relevant to the post you’re writing for. If you’re going to include a content upgrade (and you should, if you want to capture those leads), check out Backlinko’s guide to content upgrades. You’ve created the content upgrade. Now what? You need a way of getting your upgrade into your guest post reader’s hands. You can’t put a pop up on someone else’s site, so you’ll have to do it another way. You need to create a landing page. In case you didn’t know, a landing page is a page on your site where visitors “land”, which holds an offer of some kind, like your content upgrade or your product or service. To create a landing page, I use LeadPages. However, there are tons to choose from. LeadPages is a bit pricey ($37/month for the basic plan with a 30-day free trial). You can also use Lander for just $16/month, although I’ve never used it so I can’t say how good it is. Alternatively, you can just add an email opt-in to a page on your site to create your own landing page (although it probably won’t look as pretty, unless you’re a designer). Here are some landing page best practices to help you create something truly awesome. Either way, you’ll need email marketing software to automatically capture emails and send an autoresponder with their upgrade. Some good email softwares are MailChimp, Campaign Monitor, or Auto Pilot. Note: You can get the software later, but it’s free to start under 100 emails and saves you the hassle of keeping a spreadsheet with your visitors’ email addresses and manually emailing the content upgrade when someone signs up. Pro Tip: When adding a content upgrade to a guest blog post, try to link to it as early as possible and as many times as possible. But don’t go overboard, 2-3 links should be plenty. Once in the opening paragraph, once somewhere in the middle, and once at the end. Alright, time for the part you’ve been waiting for! Step 6: Submit your guest post. You’ve finally done it! You did your research, settled on a topic, wrote a killer blog post, and even created a slick content upgrade and landing page to capture those leads (if you’re really cool, anyway). Send two versions – One Word doc with all the images and formatting, and one in a Notepad file with all the HTML code for super easy copy-paste into their backend. Go through it one last time to ensure proper grammar and spelling, as well as great internal linking to their blog posts. Name the file the blog’s title, rather than “XYZ Guest Post” to make it easy for them to keep track of. Congratulations, you’ve been published. Welcome to the world of guest posting. Either way, to get the most out of your post, it doesn’t end there. You spent hours working on that post. We want to get the most out of your time, so let’s send it to more blogs. Step 7: Revise 30% of the article and send it to another blog. Disclaimer: You can’t just send the same thing to multiple blog owners. Many people want completely original content, and if that’s the case, don’t use this method! However, by tweaking roughly 30% of the article, you can present it as new to many other blogs (who accept unoriginal content). Once you’ve done that, send the fully finished piece to another blog on your list. Keep in mind that you’ll be limited to blogs who syndicate content. If you’re worried about guest blogging SEO – don’t. Google doesn’t care about duplicate content. Just try to use canonical tags when you can and don’t try to be shady about it. Pro Tip: Replace the internal links you created for the original blog with internal links from the new blog. Also, don’t link to that person’s competitors! One last thing… once you’ve written the post, don’t forget to help it get more shares! This method of guest blogging is almost guaranteed to net you tens of thousands of visitors over time if done well. Target the right blogs, create amazing content, and include a great content upgrade – that’s all it takes. Listen… this isn’t going to be a quick process. It will likely take at least a few hours over the course of a few days. Bookmark this page so you can easily reference it as you go through the steps. P.S. Drop a comment when your new guest posts go live with a link to the post! I love seeing our readers’ success. We may even feature you in the blog! As always, I’m here to answer any questions you have. Don’t forget to share this guide if you liked it! Ready to dive further into marketing strategies? Read our full post on Marketing 101, with actionable marketing strategies you can use right now. Learn PROVEN strategies to generate thousands of visitors that CONVERT. Plus, you'll learn 5-star customer service tactics along the way. 100% privacy. Unsubscribe any time. Great article Bill. You just gave a roadmap to guest blogging. 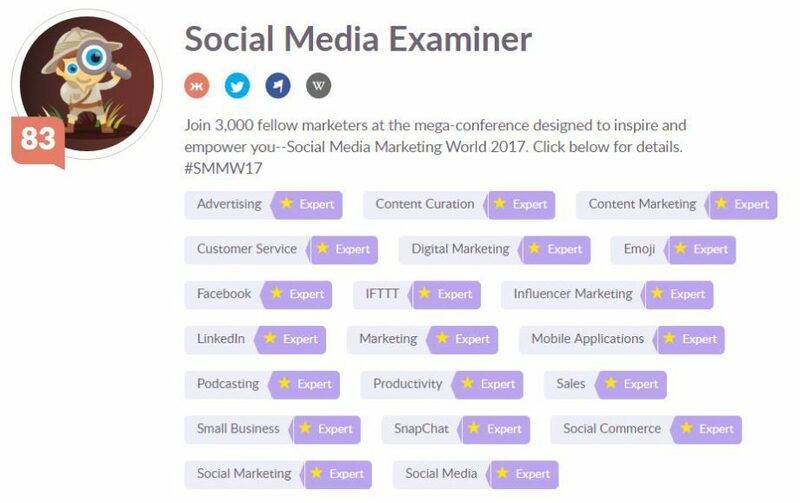 I have a doubt though: in your experience, when you approach blogs like CMI and Social Media Examiner and show them your samples. Will they be more concerned about the social shares or about the quality of the article. Or is it both? Glad you enjoyed it, Arvind! Both shares and quality definitely have an influence, but I am fairly certain they place more emphasis on the quality than the share count. They don’t want writers who get lots of shares just by getting a guest post on a strong site – they want genuine quality. But, shares will always have an influence, because it’s a numerical rating of how good your article is, whether it’s an accurate rating or not. Thanks for sharing the information. Nice tips and information. My pleasure, glad you found it helpful! Bill this is amazing! Totally saving it so I can refer back and keep learning from it. Thanks so much. Great to know the steps you take to get great results from guest posting. This can be nerve wrecking for a lot of bloggers who aren’t that confident in their writing, but having steps like these can help alleviate this. Good point! Thanks for the correction. This Is really a good post. I am even thinking of Linking you in one of my latest post. Great article on guest post! sum up all major extensions in one post. © Formilla.com. All rights reserved.